Joel is an award-winning "Madonnaro" and discovered the ephemeral art of street painting in San Rafael, California in 1996. 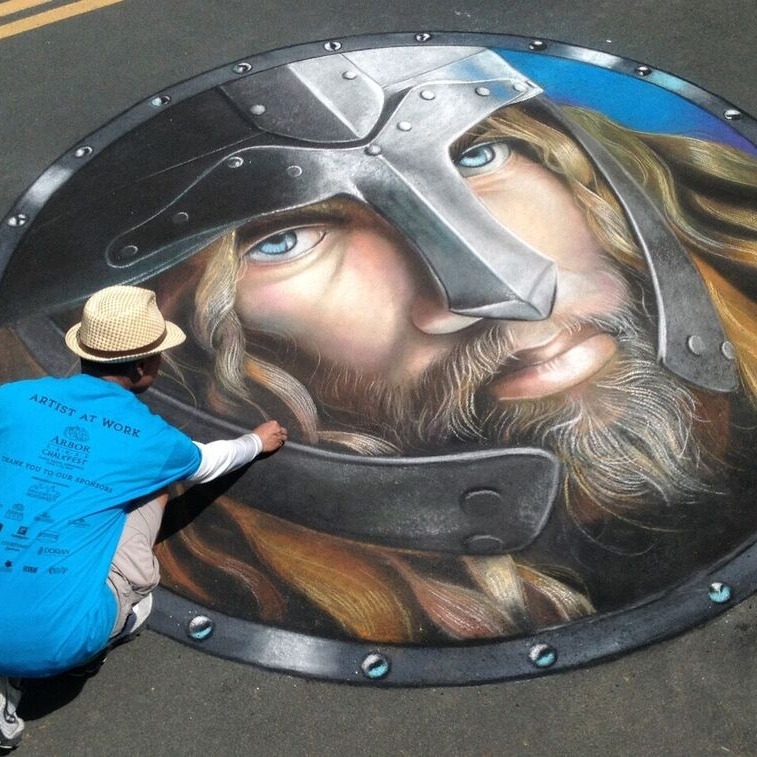 He has been invited to participate in street painting festivals in major cities in the United States, Mexico, Hong Kong, France, Germany, China and the Netherlands. These festivals allow him to create large format reproductions from ‘Renaissance’ master paintings to his most recent favorites; vintage pin-up illustrations from the 1940's and 3-D anamorphic designs. His skilled hands, outgoing personality and love of this art form have made Joel a very successful chalk muralist and his work in this arena has won many accolades and awards. Joel has a degree in Illustration from the Academy of Art University in San Francisco and Visual Communications in Advertising from the University of the Philippines. He is a seasoned illustrator and professional graphic artist who has worked in licensing and character merchandising design and the web/high tech industry. Joel lives in Marin County just a few miles north of San Francisco.